Acne skin seems to be a complaint for many people. 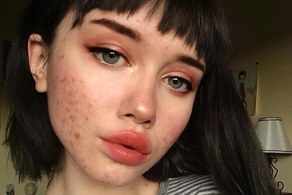 Without proper acne treatment, it can get worse, cause scarring, and even cause a person to become insecure to depression. To treat it, the first step you must do is to choose acne soap for the face and body accordingly. Don't be confused, consider the following reviews to help you choose the right product. The main key in choosing acne soap is to pay attention to the content contained in cleaning agents. The appearance of pimples on the skin indicates that the skin condition is problematic and becomes more sensitive. You need to know if not all cleaning products are made for the same purpose. Some are formulated for sensitive skin, dry skin, or normal skin. Well, for those of you who have acne, choose products that contain active ingredients specifically anti-acne. The best for acne on the face or body is benzoyl proxide or salicylic acid, "explained Dr. Sandi Skotnicki, a skin specialist and founder of the Toronto's Dermatology Center, as reported by Everyday Health. Both of these active ingredients are known to prevent the formation of blackheads, reduce excess oil and dead skin cells, and are able to kill bacteria that cause acne. Acne soap for face and body is not the same. Do not let you change or choose the wrong one. Whether it's for the face or body, both have different concentrations of active ingredients. Usually the soap for the body contains a higher concentration of active substances around 10 percent, while for the face only 5 percent. Incorrect use of products can make skin conditions worse. You can treat acne by taking medication or care products, such as acne soap. If you deal with zits with acne medications taken, ask your dermatologist again, can you use special anti-acne soap or not. Because the combination of treatments can make the dose of anti-acne substances higher. As a result, the skin can become more dry and irritated. So, you should indeed be for acne-prone skin care. You consult a dermatologist first. In addition to active ingredients, cleaning products that you should choose are also free of fragrance-free. Why? Isn't the scented better to use? Don't get me wrong, additional scents can indeed spoil your nose. Unfortunately, scented acne soap can irritate your skin. The fragrant aroma of both natural and synthetic ingredients can affect the condition of acne prone skin to be more severe. Choose products that contain non-comedogenic ingredients, including oils that help moisturize the skin. Oil that does not clog the pores allows the skin to breathe, not dry, and free from pimples. Examples of non-comedogenic oils are lineolic oil, sunflower oil, or grapeseed oil.